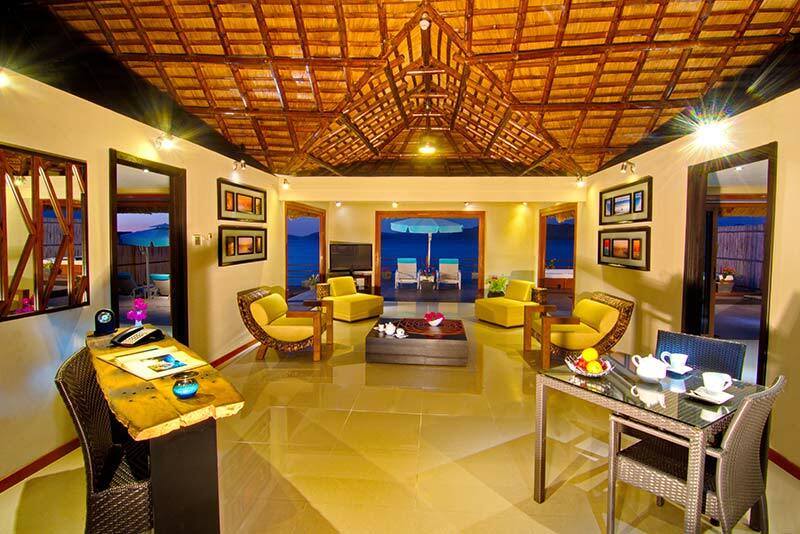 Our Presidential Suite is comprised of 2 villas joined by a spacious living area. This guestroom has a total floor area of 294 sqm, the largest among all our villas. It also features a 13-sqm outdoor tub and an expansive sun deck that commands a picturesque view of pristine Palawan waters and surrounding islets.